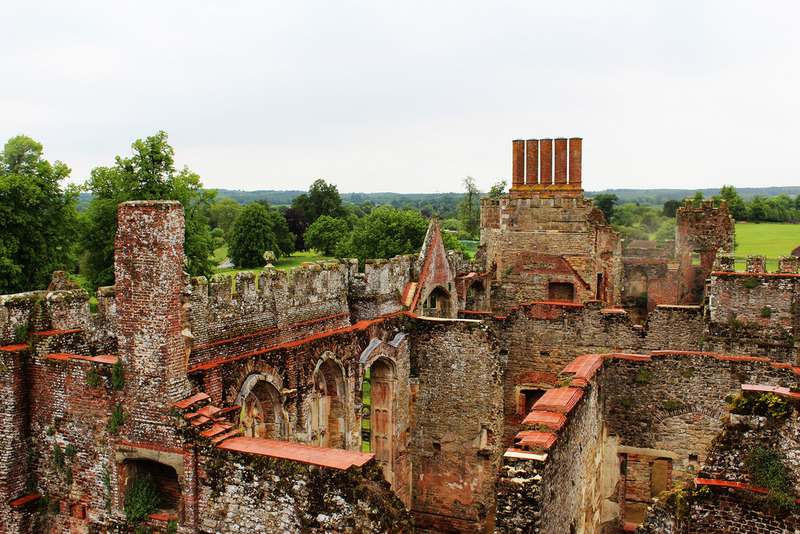 On leaving Cowdray ruins this past May I asked my husband, what he thought and all he could say was “sad”. I asked why, and the response was “…this house should still be great” and I have to agree. 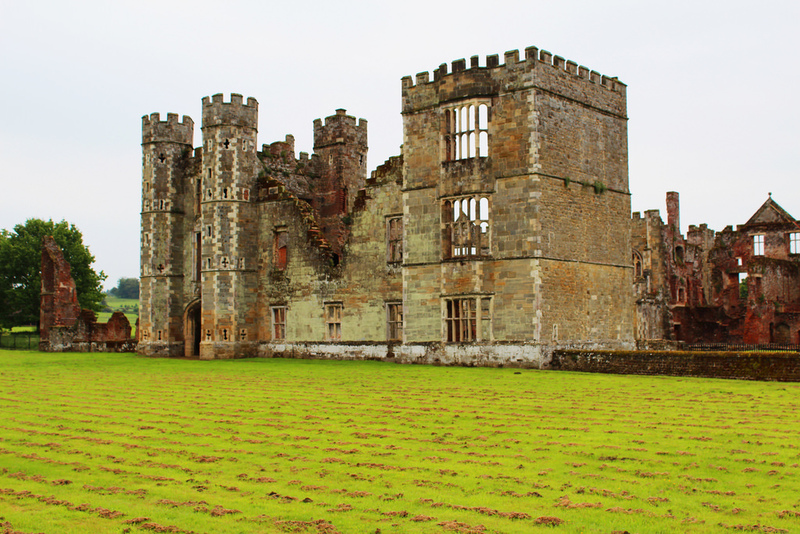 Cowdray is one of England’s most important early Tudor houses and was visited by Queen Elizabeth I and King Henry VIII, before it was partially destroyed by fire in 1793. The original fortified manor house was built between 1273 and 1284 by Sir John Bohun across the river from the town of Midhurst. He named it Coudreye, the Norman word for the nearby hazel woods. 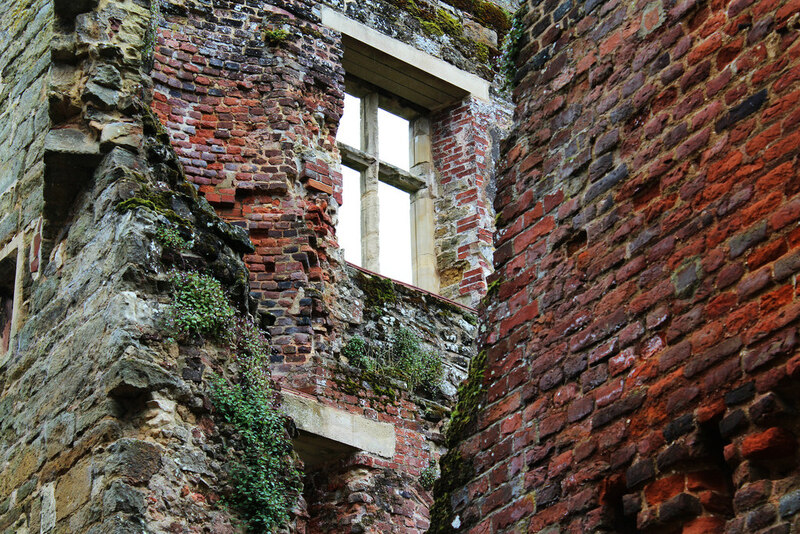 In the 1520s, Sir David Owen, uncle to Henry VII began construction of the current Cowdray House. Henry VIII made three visits to the house during his reign in August 1538, July 1539 and August 1545. The house was later visited by his son Edward VI in July 1552 and by his daughter Elizabeth I in August 1591. 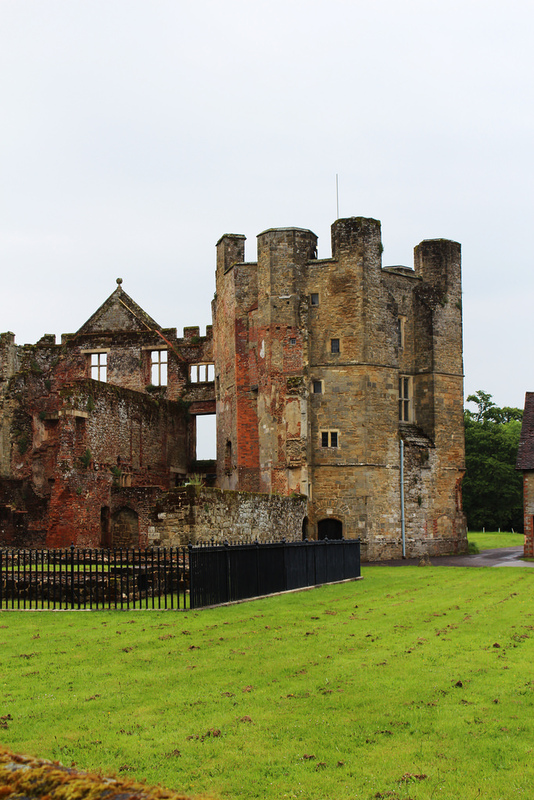 Mary of Guise, widow of James V of Scotland stayed a night at Cowdray in October 1551. However, all that is left today is the sad and crumbling walls of this once great mansion, and surprisingly the Kitchen Tower – as the fire started in the Carpentry Store rather than the Kitchen. 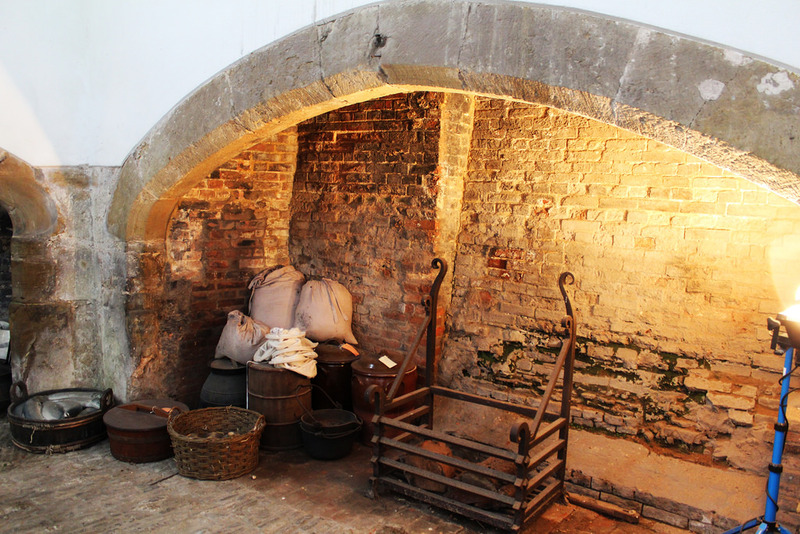 The Tudor Kitchen is claimed to be one of the best examples of its kind; second only to Hampton Court. In the mid-1630s Robert May – author of The Accomplished Cook – was employed as a cook at Cowdray House. Another interesting member of staff was a certain Mr. Guy Fawkes, who was briefly employed as a footman by the 2nd Viscount, who was himself imprisoned for complicity in the Gunpowder Plot after staying away from Parliament on 5th November 1605 following a warning. A climb of the 72 steps of the Kitchen Tower brings rewards of stunning views over the South Downs as well as what remains of the gardens landscaped by Capability Brown in 1770. For me, the most impressive view was that of the walls; from this height you can appreciate how grand this home must have been. On 24th September 1793, during restoration work, a fire started in the carpenters’ work shop in the North Gallery where some smouldering charcoal was allowed to fall upon the sawdust and woodshavings strewn across the floor. During the restoration work ,the family’s furniture and treasures had also been stored in the North Gallery to make re-decorating easier. From this collection, only three paintings and a few small pieces of furniture were saved, the rest including artifacts from Battle Abbey being devoured by flames. Less than two weeks later, the 8th Viscount Montague perished whilst trying to ride the Rhine Falls and the title passed to a descendant of the 2nd Viscount, Mark Browne who later died childless and the peerage became extinct. These two events marked the conclusion of the supposed curse set upon the family 250 years earlier. 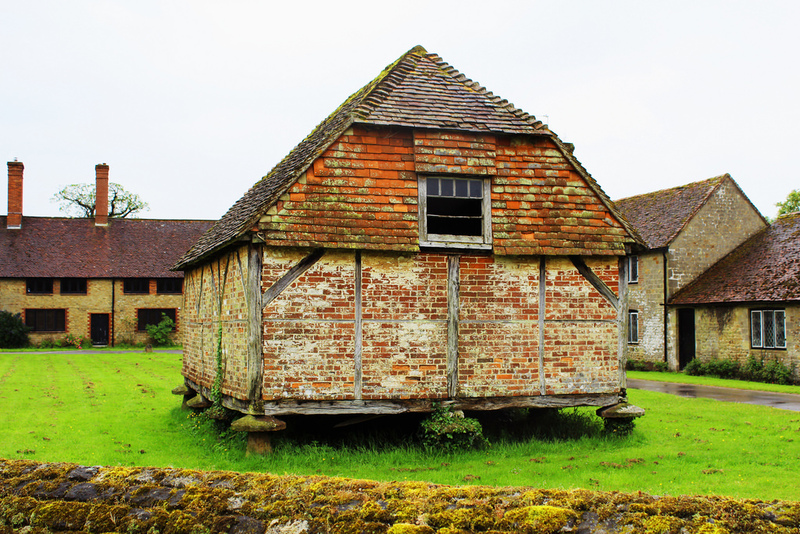 Cowdray Ruins, River Ground Stables, Midhurst, West Sussex GU29 9AL. Cowdray is open every Saturday, Sunday and Bank Holiday Monday until 7th September, with the exception of Sunday 20th July (the Final of the Veuve Clicquot Gold Cup), 12pm to 4pm with last admissions at 3pm, admission is GBP6.50 for adults and GBP3.75 for children.